And that list, dear readers, is exactly why I love this facial mist so much. 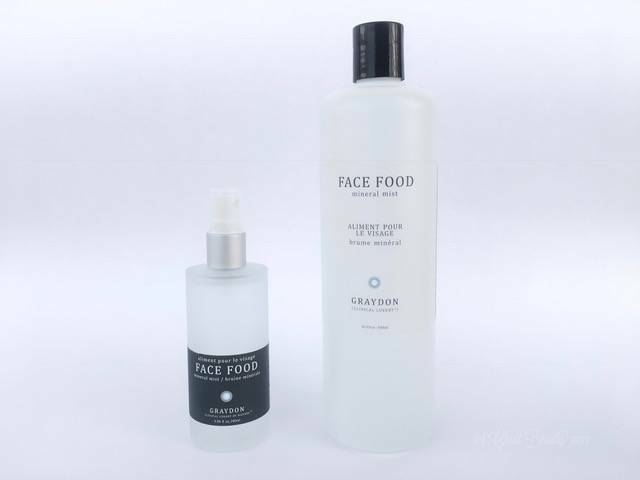 Face Food Mineral Mist has a simple, toxin-free formula that contains minerals that are all beneficial to our skin, but are not found in most beauty products. Copper helps the process of collagen production, and makes antioxidants more effective. Silver is antibacterial, antiviral and anti-inflammatory. Zinc helps to heal and repair damaged skin, and encourages skin cell regeneration. Equally important, my skin feels great when I use this toner; Face Food Mineral Mist leaves me with soft, hydrated skin. 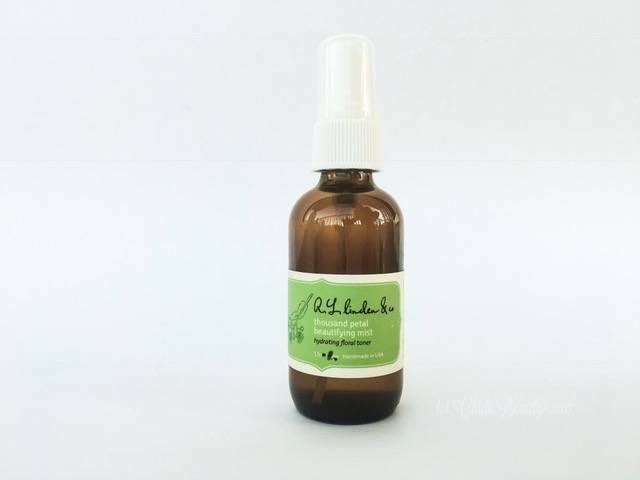 This mist is also a great value for your money for any high-quality facial mist on the market. The 100 mL bottle retails for $35.00 USD. I now refill that smaller bottle by ordering the 500 mL size for $75.00 USD, which I store in my fridge. Even with my liberal application, the 500 mL bottle lasts me for a few months. If you need more reasons to love this facial mist, check out our review from February 2016, when we first fell in love with it. Another simple and non-toxic product. Though I am curious about how this facial mist, and any other, remains shelf-stable with no listed preservative. 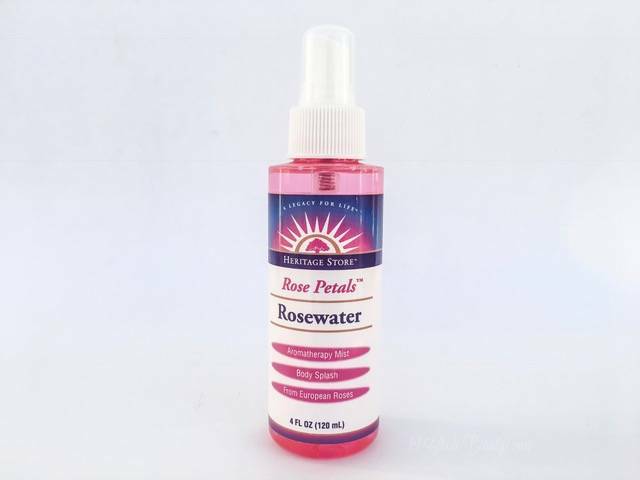 Wherever you find Heritage Store’s Rosewater, it is extremely inexpensive. A 4 fl.oz/120 mL bottle can cost less than $5.00 USD. At that price you could practically bathe in Rose Petals Rosewater. This facial mist can hold its own with the best if them. In fact, if you aren’t completely convinced that your beauty routine needs a facial mist, start with Rose Petals Rosewater, then once you’ve seen how well it works try some of the others mentioned on this list – you won’t be disappointed. I tend to prefer products with simple ingredient lists. When a product has many ingredients there may be fillers included, and even in terms of truly clean products you have to stop and wonder just how much of any ingredient you are getting – especially the ones near the bottom of the list. But for every rule there is an exception. When it comes to beauty products, Josh Rosebrook is the exception to my preference for minimalism. Whether it is his exceptionally performing Nutrient Day Cream, or his expertly crafted Hydrating Accelerator, Josh Rosebrook simply knows how to formulate high quality products that work well. It just so happens that those products tend to contain an awe-inspiring number of beneficial ingredients. Hydrating Accelerator contains approximately 49 ingredients, which I will not list here; you can find them all listed on Josh Rosebrook’s website. The important thing to know is that all the ingredients in this lovely mist are clean, and combine to form a product that does exactly what it promises; help hydrate your skin. It doesn’t hurt that Hydrating Accelerator also has a wonderful, creamy and smooth highly addictive vanilla scent. At $32.00 USD for 4 fl.oz/120 mL (the picture above is the 2 fl.oz/60 mL size), it isn’t the cheapest toner on the market, but it also isn’t the most expensive. 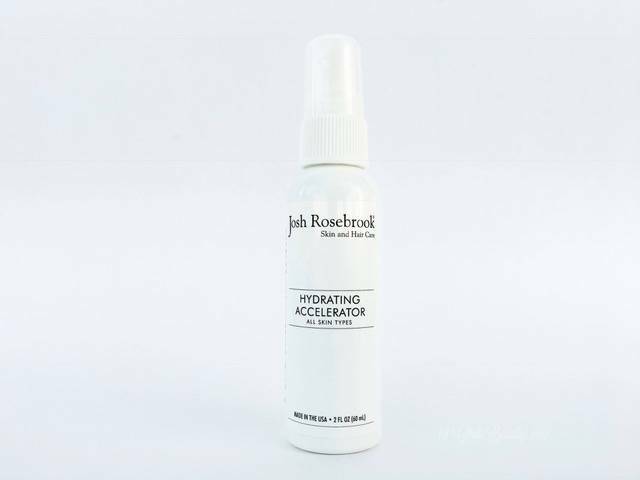 With Hydrating Accelerator, like all Josh Rosebrook products, you get what you pay for. Two rose facial toners on the same list? Yes! For those who are less cost-conscious than others, R.L. Linden & Co.’s Thousand Petal Beautifying Mist is a more intense, more involved facial toner that delivers several beneficial ingredients to the skin in addition to rose water. 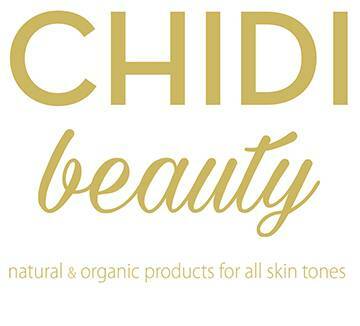 The ingredients include Colorado spring water, Hydrosols of neroli, honeysuckle (wildcrafted) and rose, organic extracts of rose and calendula, organic jojoba oil, and more. The product released by the pump is more of a spray than a mist, so it saturates your face thoroughly and quickly. The rose scent disappears in as much time as it takes this facial toner to dry – great news if you want the benefits of rose but don’t like the smell. At $58.00 for 100 mL, it is certainly the most expensive toner on this list. But like we’ve said before, if you have the opportunity, try it. Then you can start calculating exactly how you can keep a constant supply of Thousand Petal Beautifying Mist at the ready. 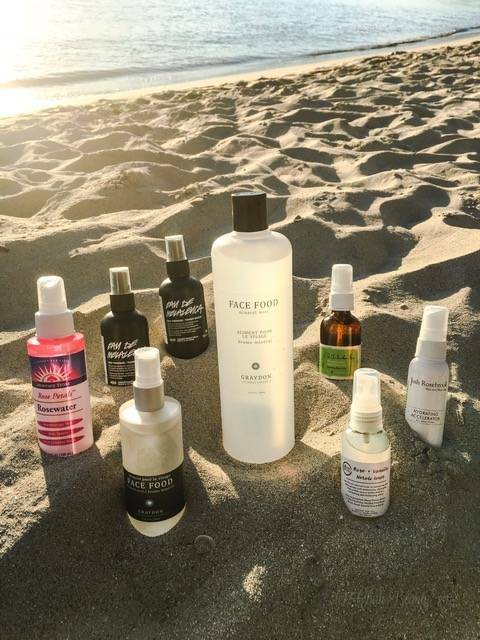 Do you have a favourite facial mist or toner that is not on this list? Tell us which one and why you love it in the comments section below! Some of you may notice that both Lush’s Eau de Melaleuca Eau Tonique/Tea Tree Water Toner (3.38 fl.oz/100mL) and Handmade Cartel’s Rose & Vanilla Neroli Toner (2 fl.oz/mL) are pictured, but not included on this list. Why? Simple. At the time I came up with the concept for this post I intended to include them. But after longer use and more research I realized that they do not belong on this list. Lush’s Tea Tree Water Toner contains both fragrance and methylparaben. In this case, as is true in general, we have no idea what chemicals are included in the fragrance ingredient. They could be toxic or they could be safe. But without knowing the full ingredients list of the fragrance, we cannot endorse a product that lists “fragrance” as an ingredient, at least without some sort of caution. Even if we were to overlook the fragrance ingredient, which unfortunately is still quite common for conventional products, there is still the problem of methylparaben. Methylparaben is a paraben. Parabens are a group of similar chemicals typically used as preservatives in cosmetics, food and other products, and generally considered safe for human use. Except for allergies, methylparaben is non-irritating, non-sensitizing and even has a score of four (4) on EWG’s Skin Deep Cosmetics Database. Interestingly, it can even be considered “natural,” as it is produced by some plants (though the methylparaben found in our cosmetics is likely man made). Nonetheless, because parabens mimic estrogen, they also have the potential to be endocrine (hormone) disrupters. This means they may cause early puberty in boys and girls, abnormal breast and testicular development in boys, and decreased sperm production in men. Exposing pregnant mothers to parabens may negatively effect their unborn children. Although causation has not been shown, methylparaben has also been linked to breast cancer and tumor growth. Also, methylparaben may interact with UVB rays and cause increased sun damage to our skin cells. I would rather have acne than undergo the risks, no matter how uncertain, associated with using parabens. Needless to say, Lush’s Tea Tree Water Toner has no business on any green beauty or clean skincare products list. Regardless, the ingredients list is not bad. In fact, the lack of a preservative is not the reason why this mist failed to make the cut. The Rose & Vanilla Neroli Toner was nixed from this list because it simply does not perform well for me. I found it to be very drying. Initially, I thought that it might appear to be underperforming simply in comparison to the many other stellar mists I had been using. But that wasn’t the case. This facial mist consistently and unmistakably left my skin feeling dry. 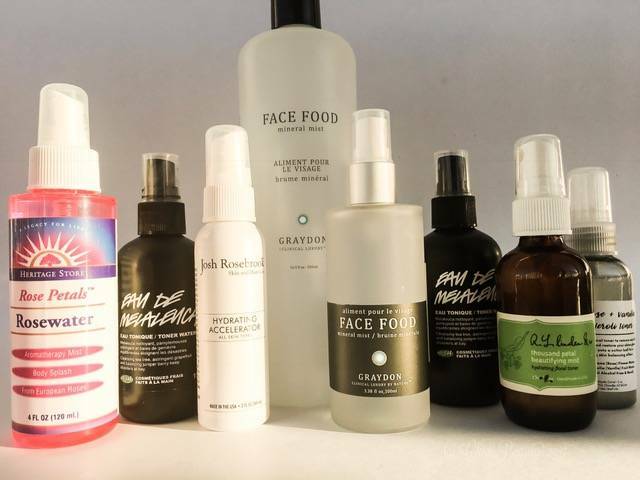 With so many excellent, clean facial mists available in different price ranges there is no need to use a product that does not perform well for you.